"The new 17" MacBook Pro has a non-removable, 8 hour battery that Apple claims can recharge 3x more times than standard batteries and has a 5 year life. Are they nuts?" Link: Apple's 8 Hour Battery: Breakthrough or Bungle? "Apple swept the awards for end-user hardware, taking Best Notebook Computer, Best Ultranotebook, and Best Smartphone. The MacBook Pro, still the best notebook you can buy, won for the second year in a row. The iPhone won for the first time, having added important business-oriented features in the 3G edition - closing the gap with BlackBerry, Nokia, and Windows Mobile - and leaping ahead of the pack with the amazing App Store...."
"Some solid-state drives are more equal than others - or, to put it another way, command higher prices than rival drives, despite being seemingly quite similar." "At the Toshiba booth, however, the story was very different. A Toshiba representative said his company's comparable 256 GB SSDs are priced at $800...."
"In what may be the only opinion that Mike Huckabee and I actually share, the new Fox News commentator said Sunday that he'd recently switched to a Mac. In his segment, after dissing an airline and a computer company that he'd had bad experiences with, he lauded his new experience of moving to the Mac." "Issues of size versus extra cost have been raised about the purchase of new laptop computers for Nebraska state senators - although the purchase has plenty of defenders within the Capitol. "At least one state senator, Tony Fulton of Lincoln, has questioned the purchase, saying the Legislature could have managed with less than 'designer laptops,' particularly during these tough economic times. "The state might have been able to buy laptops for $400 to $500 each, said Fulton, an engineer...."
"Manufacturing of the new thin and light 17-inch MacBook Pro announced during Macworld 2009 will be outsourced to Quanta Computer according to a Chinese-language Economic Daily News (EDN) report citing comments from market watchers...."
"Introduced in the fall of 2008, the Apple MacBook 2.1 GHz Intel Core 2 Duo White comes standard with 1 GB of Memory installed in the two slots available for memory upgrades. 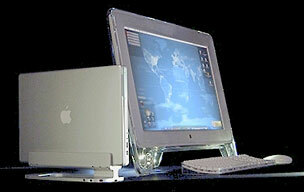 Features of this Apple computer are 1 GB of Memory installed as standard, a 120 GB Hard Drive, Intel GMA X3100 graphics, a standard keyboard and a white polycarbonate shell. "Further upgrades are available by installing larger memory chips in the two memory slots in this Apple computer. This notebook can be expanded to 4 GB of DDR2 PC5300 Memory modules using the Apple MacBook 2.1 GHz Intel Core 2 Duo 13 inch White's 2 memory slots available. "Although, not required I suggest upgrading both memory slots at the same time...."
"...utilising Apple's trademark unibody enclosure, cut from a single piece of aluminium. "And in your hands, that's exactly what it feels like - a bigger version of the 15-inch MacBook Pro. It's sturdy, elegant and a real work horse. You get the new glass Multi-Touch trackpad with all the gestures built-in and a similar array of ports to the 15-inch model, which means there's only a FireWire 800 port, and no FireWire 400 port. You do get an additional USB port though. "The new battery has been completely redesigned by Apple's engineers to mean the longer battery life doesn't increase either the weight or the size of the notebook - the sacrifice necessary to achieve this is that the battery can't be removed by the end user...."
"How do I replace the battery in my MacBook Pro (17-inch, Early 2009)? "Battery replacement service may be available at your local Apple Authorized Service Provider." "Amidst the frenzy of Macworld and the Consumer Electronics Show, the One Laptop Per Child (OLPC) initiative quietly announced Wednesday that it would cut its staff by 50 percent, decrease the salaries of 32 workers, and refocus its mission. "'We are streamlining our operations this month, cutting staff by roughly 50 percent and laying out broad targets for the coming year,' the company said in a blog post." The OQO model 2+ measures 5.6 x 3.3 x 1.0in (142 x 84 x 25mm) and weighs less than 1 lb. (less than 450g). (The exact sub-1 lb. weight can vary by configuration.) To get an idea how small this is, fold a standard A4 sheet of paper (regular copy paper) into a quarter of its size; that has about the same footprint as this PC. 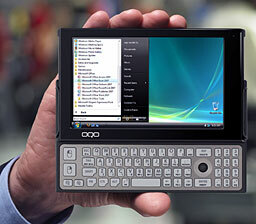 In addition to the touchscreen, input methods include a slide-out backlit keyboard and hub-style pointing device. When purchased from Dynamism, the OQO model 2+ includes unlimited Dynamism toll-free technical support and Dynamism Rescue Warranty service. PR: The latest generation of Apple laptops are equipped with a stunning LCD display enclosed in a beautiful glass surface. However, for some users, this aesthetically pleasing finish can compromise the functionality of their device due to the glare that reflects off the glossy glass finish. 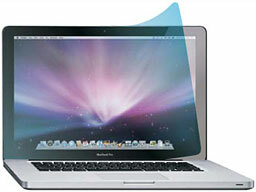 With the ideals of functionality in mind, Power Support releases the Anti-glare Film for the MacBook Pro. Made with the highest quality materials and cutting edge adhesive technologies, this custom fit, die cut, matte finish screen protection film will help to reduce glare, reduce the impacts of finger prints, and prevent scratches and scuffs. The Anti-glare film does not have negative impacts on the visual output of the LCD screen and is easy to install. This one piece of film can drastically improve the functionality and usability of your MacBook Pro. PR: If you connect your notebook computer to a large screen, at work or home, Floater is designed for you. It combines high technology with elegant styling. Close your MacBook Pro, connect a keyboard, a screen and a mouse, and you have created a perfect working environment. The Floater's parts are machined from a single block of aluminum, which lends it great stability and optimum cooling power by spreading the heat around. The two small panels around your computer are of minimal height and width, but sufficient to meet the product's two requirements; to hold your computer perfectly, and to let you set it up as easily as possible. MacBook Pro is a computer of rare beauty. The Floater is designed to complement this beauty. 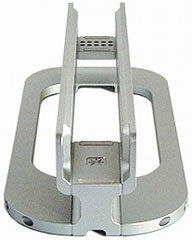 Floater is a combination of various parts, each one machined from a block of Aluminum. The whole structure gives a floating sensation, which belies its perfect stability. This product has been created using a unique technique of metal sculpture. Every component offers the strength and solidity of metal, and the pure lines of the design give an impression of lightness. The side panels are as narrow as possible to ensure perfect stability and the easiest fit. It may look unstable, but the Floater will not move. The reason for this great stability is the precision, to a tenth of a millimeter, used to calculate the right gap between the two panels so Floater and MacBook Pro fit together snugly. The inside of the panels is covered with very thin sheets of silicon that protect the computer without interfering with cooling performance. And, since every MacBook Pro is unique, 2mm room has been left for adjustment where the panels join. The cutouts you see on the base of Floater let your cables through the spaces and you will never have to look for them again. Once your cables are organized, they won't clutter your desk anymore, which will match the elegance of MacBook Pro and Floater. The gap between the panels depends on the width of the central block. Floater's side panels are as narrow as possible, to ensure perfect stability and an easy fit. All the parts are made of machined aluminum. The weight and strength of the metal lends the whole perfect stability. The cooling effect is between 3 to 6 degree (CPU temperature), and the cables tuck away into the base. On its Floater, the computer seems to float in the air. It is not simply carried or placed on a table. Floater has successfully recreated the atmosphere of our dreams. Floater is compatible to MacBook 13" , MacBook Pro 15", 17" and PowerBook G4 17". You can adjust thickness with the enclosed spacer in the package. Floater is not compatible with other models. 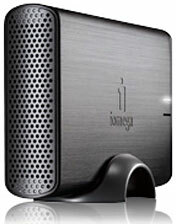 PR: Share and access photos, videos and music throughout your home with the Iomega Home Media Network Hard Drive. This device provides easy-to-use, yet powerful, network storage for the home user and the three step setup is a breeze, even if you've never used a network drive before. Save all your digital files to one central location and share them between computers on your network. Then play back your pictures, videos and music from digital media adapters such as game consoles, digital picture frames or networked TVs. Built-in iTunes support automatically feeds music into iTunes for easy playback. Easily share one printer over the network. Control which family members have access to certain folders. Plus, secure your memories and backup automatically with award winning EMC Retrospect software (PC/Mac) and for extra protection backup online with MozyHome Online Backup service with 2 GB free. Simple to use - Three step setup - simply plug into your router, power on, and install the software CD. Friendly web screens for easy management. Sharing - Access files from any networked Windows PC or Apple computer for easy file sharing. High Performance - Gigabit Ethernet connectivity combined with a high performance processor. UPnP AV Media Server - Compatible with DLNA certified media players, able to stream photos, audio content and videos to a variety of media devices like game consoles, audio bridges, DMAs (digital media adapters), picture frames and more. iTunes Server - Store your audio content in one central location and share it across your iTunes players. Expandability - Add storage capacity by connecting external USB Hard Disk Drives. Supports FAT32 and NTFS formatted hard drives. Network Discovery - Automatic network discovery by Apple Bonjour and Microsoft Windows Rally devices. Data Protection - Touch-free professional-level backup for all your critical data with EMC Retrospect HD backup software. Effortlessly back up files on a preset schedule. PR: Elevate your digital style with the lightweight, ultra-thin Iomega eGo Helium Portable Hard Drive. The Iomega eGo Helium Portable Hard Drive USB 2.0 is a perfect match for the new MacBook Air notebook (HFS+ format). The compact silver design slips easily into a purse or briefcase and has the Iomega Drop Guard™ feature which protects from drops up to 51" (40% above the industry average!) so your Iomega eGo Helium can withstand the toughest of travel environments. 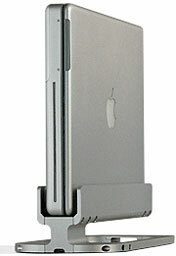 Available in 320 GB capacity, it holds up to 1,280,000 photos, 5,920 hours of music, or 480 hours of video. Plus, the Iomega eGo Helium Portable Hard Drive requires no external power supply and includes EMC Retrospect and MozyHome Online backup software (2 GB Free). Software available via easy download. PR: Troll Touch has announced the availability of its internally integrated touchscreen system for Apple's recently released 24-inch LED Cinema Display. The product joins the company's lineup of high resolution, analog resistive touchscreen systems which support user input via fingertip, gloved hand, or stylus. 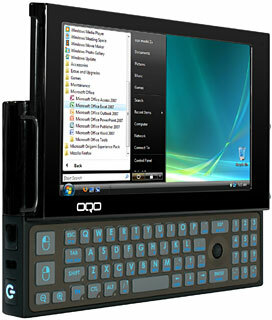 The touchscreen is internally powered via USB. Troll Touch says that its custom touchscreen overlay design and innovative component integration technique does not alter the machine's form factor in any way. To the casual observer, the system does not appear to have been modified. 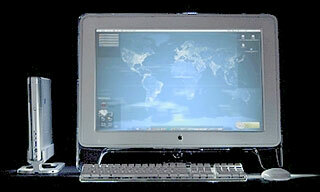 The 24" display joins the Apple 20" and 30" Cinema Display touchscreen systems the company currently offers. Customers may purchase the touch-enabled display from Troll Touch, an Apple VAR and PSP, for $2,299 or they may supply their own previously purchased machines to the Valencia, CA company for custom touchscreen integration. The cost of integration is $1,399 and includes the integration, a custom engineered touch sensitive overlay, touchscreen controller, cables, and complete system test. A much lower stock of old-school MacBooks this week and no 13" unibodies, but there's a MacBook Air for under $1,000.